Introduction: The Wall Street Journal (WSJ) (3/25/15) headlined: ‘Israel Spied on Iran Nuclear Talks with the US”. The article goes on to detail the way in which Israeli Prime Minister Benjamin Netanyahu used the confidential information to sabotage the talks, including ‘playing them back to US legislators to undermine US diplomacy’. The WSJ report of this incident tries to play down the serious implications of Israel’s espionage by claiming that Israeli spying of US diplomatic negotiations is ‘normal even among allies’; that ‘both sides do it’; that the US ‘tolerates’ Israeli spying; that the ‘Israelis have not directly spied on the US’ but use sympathetic US agents . . . and several other excuses for Israel’s behavior. After having revealed Tel Aviv’s espionage – the WSJ dismisses the sabotage. Worse still, it makes no attempt to investigate who, among the highly-placed US government officials with direct access to the negotiations, has been spying for Israel. This essay attempts to address this question by identifying the most likely suspects. We will proceed by describing the seriousness of the crime by noting the centrality of the US-Iran negotiations for US global politics and the enormous damage, which has resulted from Israel’s securing secret documents, reports and proceedings of the talks and having a highly placed agent among the US diplomats. The negotiations between the major powers (P5+1), composed of the five UN Security Council members plus Germany, led by the US, with Iran have proceeded for over two years. Israel is not part of the negotiating process-formally but indirectly its presence is substantial. 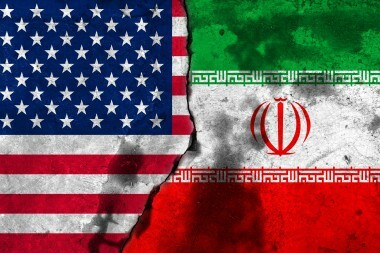 For Washington the stakes are very high: securing a nuclear agreement with Iran in which Teheran submits to constant and pervasive ‘inspections’, and dismantles a substantial part of its nuclear program, certainly weakens Iran’s regional prestige and increases US influence in the region. Secondly, through the initial agreement, it is likely that Washington will move forward to deepen joint political activity with Iran in neighboring countries. Thirdly, Washington will use the agreement to isolate Syria, Lebanon (Hezbollah) and Yemen, from Iranian financial, military and diplomatic support. Fourthly, US multi-national oil corporations could gain access to the Iranian oil fields and exporters could access a huge consumer market of 70 million Iranian citizens. Fifthly, the agreement would lessen the danger that Israel would initiate a major war, which the Zionist power configuration in the US could quickly convert into a disastrous US regional war. Given the fact that the US-Afghan war has lasted 14 years, and counting, and cost over $1 trillion dollars, and that the Iraq invasion has far exceeded those costs andintensified over the past year, a US nuclear agreement with Iran would avoid a catastrophic, prolonged war designed to enhance Israeli dominance in the Middle East. Israel knows that Iran does not have a nuclear weapons program (as does Washington). The US government uses this as a pretext to secure political concessions from Iran, to degrade its regional influence, and to secure their support in policing the Middle East. In contrast, Israel seeks to destroy Iran’s capacity to support the Palestinian anti-colonial struggle. Netanyahu and his Zionist supporters, in and out of the US government, seek to induce the US to increase economic sanctions in order to strangle the Iranian economy, to foment internal unrest and to set US-Iranian relations on a path toward a military confrontation. Netanyahu launched a multi-prong attack on the negotiations. During the AIPAC meeting in March 2015 he ‘dictated the line’ to 10,000 fanatical Zionist followers. He made Iran and US negotiations the central focus of activity for the 52 Presidents of the Major American Jewish Organizations, their billionaire donors and Washington operatives. 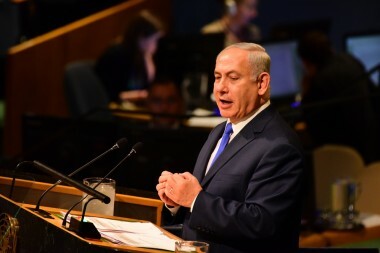 Netanyahu told them that they must concentrate on degrading Iran, on turning Congress into a bastion for underminingany agreement reached via diplomatic negotiations. Central to Netanyahu’s strategy is securing first hand, up to date, information (intelligence) on the negotiations, identifying the concessions which Iran is willing to make, the demands which they consider extreme and unlikely to accept, the points which might lead to a break-up of the negotiations and the position of the P5 + 1 participants which are closest to Israel. Netanyahu’s closest supporter is the Zionized-regime of French President Hollande and in particular Laurent Fabius, his Foreign Minister. The sequence is as follows: American and Israeli spies, operating within the US government, pass intelligence to Netanyahu who sends directives to AIPAC which writes up resolutions for US Congress people which then transmit it through the mass media to the US public and to the White House which raises the issues, in part, to the negotiators the P 5 plus 1. The question of timing is central, as the negotiations approach their deadline and the possibility of an agreement is advancing. The spies and sources, both among the US officials and among the European diplomats (mostly the French) involved in the negotiations, must intensify their undercover work for Israel. 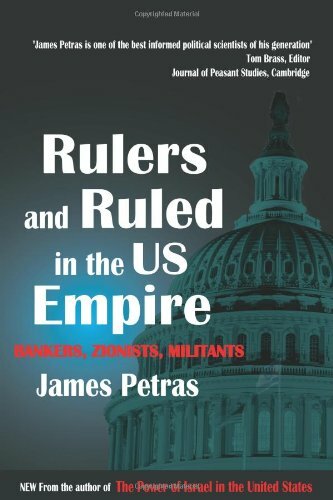 The success or failure of Washington’s nuclear negotiations and the sustainable of any agreement depends on overcoming Netanyahu’s formidable army of supporters in the US Congress and his corporate allies in the mass media. The single most decisive aspect of the negotiations is maintaining the secrecy of the proceedings, especially with regard to thecompromises that are inevitable in any historic agreement – especially Iran’s compromises. If Netanyahu has, real-time intelligence, he can devise effective counter-moves to sabotage the agreement before it is announced. While a score of Zionist-influenced think tanks and hundreds of full-time AIPAC functionaries have incredible ‘access’ to US officials, especially those involved in Middle East policy-making, the timeliness of information/ intelligence that Netanyahu needs can only be obtained from officials who are directly or closely involved in the current negotiations with Iran. 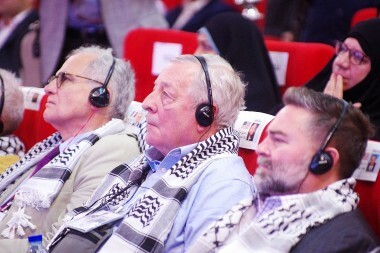 The likely criteria for identifying such agents among US diplomatic officials include (1) a long-standing history of strong pro-Israel activity and anti-Iranian animus; (2) extensive interactions and involvement with Israeli intelligence and foreign ministry officials; (3) deep involvement in devising and implementing sanctions policies against Iran; and (4) immediate access to or, better still, direct participation in the negotiating group. Wendy Sherman, Undersecretary of Political Affairs and Chief US negotiator in the nuclear talks with Iran. While all five have been ardent supporters of Israel before and during their time in the Obama administration, only two could have direct, real time access to the negotiations. David Cohen, has been extremely active pushing for sanctions against Iran and has a lot to lose if sanctions are lifted or weakened. Like his predecessor, Stuart Levy, he has been closely associated with AIPAC, which was instrumental in creating his post in Treasury and in orienting its activities toward prosecuting banks and multi-nationals, which directly or indirectly trade with Iran. Cohen, although not directly involved in the negotiations, could easily access their deliberations since they affect his field of work. He also has a very ‘fluid’ relation with Israeli officials engaged in intelligence, finance and foreign affairs. He has excellent relations with Netanyahu and supports AIPAC’s agenda. While he could serve as an Israeli informant and certainly does exchange intelligence, he does not have the real time details of the proceedings, because he is not a member of the negotiating team. Only Wendy Sherman fits all the criteria. Sherman, as head of the US negotiating group, has access to all the details of daily discussions, proposals and concessions by the US and Iranian negotiators. Moreover, Sherman is in a position to translate Netanyahu’s demands on Iran into key agenda items and proposals. Sherman is a lifelong zealous Zionist and according to one sympathetic writer, is ‘widely considered one of Israel’s most supportive high level friends’. Sherman’s reputation on the negotiating team has been that of a ‘hard negotiator’. Sherman was one of the key authors of the ‘Joint Plan of Action, which was designed to extract the maximum concessions from Iran while making the fewest changes in US policy. In a speech on October 23, 2014, designed to reassure Israel-Firsters in Washington, Sherman boasted: ‘In return for limited sanctions relief, Iran has halted the expansion of its overall enrichment capacity, put a cap on its stockpile of low-enriched uranium hexafluoride, stopped the production of uranium enriched to 20%, agreed not to make further advances at the Arak heavy water reactor, opened the door to unprecedented daily access for international inspectors to the facilities at Natanz and Fordow’. Sherman has secured US colonial oversightover the entire Iranian uranium program – which the CIA and the entire US intelligence consortium have repeatedly declared is not a ‘weapons program’! Sherman shares Netanyahu’s visceral racist ideological contempt for the Iranians. She publicly told a US Senate Committee that, “we know deception is part of their (Iranians) DNA”. This was clearly a crude remark designed to provoke the Iranian government and undermine the negotiations before they began! If the ideological affinities and hatred of Iran point to Wendy Sherman as the Israel’s ‘mole’ in the State Department, her strategic position as head of the negotiating committee immediately provides her with the secret details that Israel needs to sabotage Obama’s approach to Iran and to organize opposition in the US. The WSJ’s article underscores Sherman’s role as an agent of Tel Aviv: ‘Mr. Netanyahu and his top advisers received confidential update on the Geneva talks from Undersecretary of State for Political Affairs Wendy Sherman and other US officials who knew at the time that Israeli intelligence was working to fill the gap.’ Washington eventually curtailed the ‘briefings.’ But there is no evidence that Sherman ceased her activities on Netanyahu’s behalf. It’s likely she continues to provide timely intelligence to her Israeli counterparts. Israel is pursuing a complex strategy: 1. Opposing the negotiations outright; 2. Organizing political forces in Congress to impose new sanctions to undermine the negotiations; 3.Securing sympathetic US officials on the negotiating team to spy and report the proceedings to Israel and 4. Helping Israel by making the most extreme demands on Iran, offering the least concessions in order to force a breakdown of the negotiations. In other words, Israel pursues a complex division of labor: Netanyahu sets the rejectionist hardline. US Zionists transmit that policy into Congressional opposition. Top officials in the State Department provide intelligence for the hard ‘outsider’ campaign and work within the negotiating framework to subvert the proceedings. As the chief negotiator, Sherman plays multiple roles on behalf of Israel, only one of which involves the immediate transfer of highly sensitive intelligence. Sherman has ensured that most of Netanyahu’s demands are incorporated into the US negotiating agenda in a win-win format. If Iran rejects them, the US will effectively break-off negotiations, blame Iran and impose even harsher sanctions; if Iran accepts the demands, its peaceful nuclear program will be destroyed and it will be even more vulnerable to an Israeli and/or US military attack with all its military installations infiltrated and monitored by the US controlled International Atomic Energy Agency(IAEA). While Netanyahu bellows against the idea of negotiations with Iran, and opposes any process lifting sanctions, the realistic agenda of the Israeli Foreign Office is to: 1. Prolong the sanctions, 2. Minimize any immediate relief, 3. Include clauses which would give the US any pretext for unilaterally revoking sanctions without any consultation; 4. Minimize the amount and level of enriched uranium Iran could retain within the country; 5. Dismantle most of Iran’s centrifuges and impose severe limitations on scientific research and development; and 6. Stop operation of Iran’s multi-billion dollar new fortified nuclear power facility at Fordow. While Sherman cannot outright terminate the negotiations she is doing everything in her power to either force a breakdown or thoroughly humiliate the Iranians. The failure of the Obama regime to go after its own State Department officials acting as agents for Israel; its refusal to confront long-term aggressive espionage designed to undermine its relations in the Middle East; its tolerance of Israel’s direct interference via its ‘fraternal organizations’ of the US legislative process; and its refusal to identify, arrest, prosecute and sentence high-level spies within the Cabinet have severely compromised the sovereignty of the United States. It is Israel’s intervention in the US, not ISIS, Iran, Houthis, Venezuela, Syria, Russia or China, that poses an immediate and direct threat to US national security. Increasing Jewish colonialist expansion in Palestine; the flaunting of its vast stockpile of nuclear, biological and chemical weapons; operating its powerful network of political agents and spies in high US offices are a direct, immediate threat to peace and stability in the Middle East and the United States. The activities of US Zionists as spies and shock troops for Israel’s effort to destroy Iran and undermine US diplomacy, pose a long-term threat to all Jews in America. 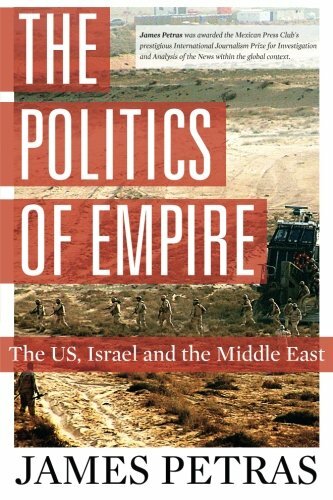 Sooner or later, Israel’s deep penetration of US power centers and its manipulation of elected American officials, will lead to a prolonged, bloody, destructive war. And it can be expected that the greater US public will seek out those responsible and demand they be held to account. Under the impact of the devastation of war, who can be sure that the American public will be able to distinguish between loyal Jewish-Americans and highly placed Zionists acting on Israel’s behalf ? For that reason it is incumbent that peace-loving American Jews get on their feet and clearly and forthrightly denounce the Zionist minority, which claims to speak for them.